How do I reply to discobot? This forum does not allow private messaging. – I guess the “welcome robot” text wasn’t updated to reflect this, so just skip this part. Hey @elcalen, just checking in because I haven’t heard from you in a while. To continue, reply to me any time. If you’d like to skip this step, say skip. To start over, say start new user. If you’d rather not, that’s OK too. I’m a robot. You won’t hurt my feelings. I’ve re-categorized this post to “Site Feedback”. 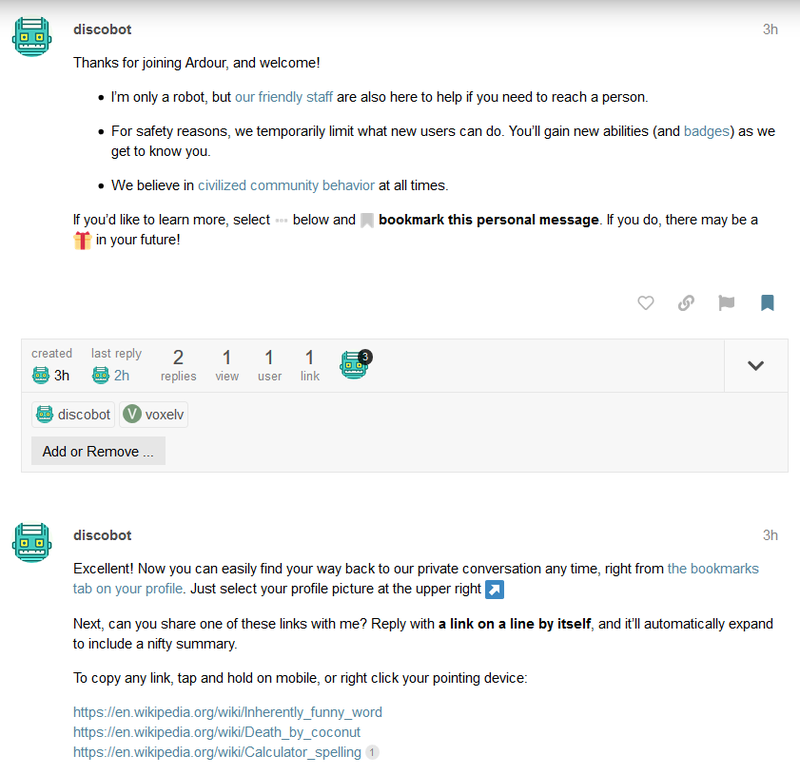 When starting this forum It seemed overkill to allow personal messages here, and I still think that personal private communication is beyond the scope of the Ardour community. Oh well, there’s a 3rd option too: just leave it as easter-egg. It’s the time of the year anyway Cute bot.